LIV Showroom offers a variety of Design Packages that allow the do-it-yourself client to take control and manage their project, while getting guidance, assistance and advice from one of our professional designers. Leslie Hansen of Bountiful, Utah, purchased our most popular package called LIV COMFORTABLY in the fall of 2013. Designer Tonya Olsen provided Leslie with a "road map" including a floor plan with dimensions; furniture and accessory recommendations; a color palette; a digital design board and an instructions page. Above: Formal living room BEFORE. This furniture was moved to the basement. Above: Formal living room AFTER. This furniture was formerly in the basement. The paint color remained the same, but the colors of the furniture, area rug and accessories brighten the room. Left: Living room BEFORE. Right: Living room AFTER. The room feels more open and less cluttered with minimal furnishings and accessories. 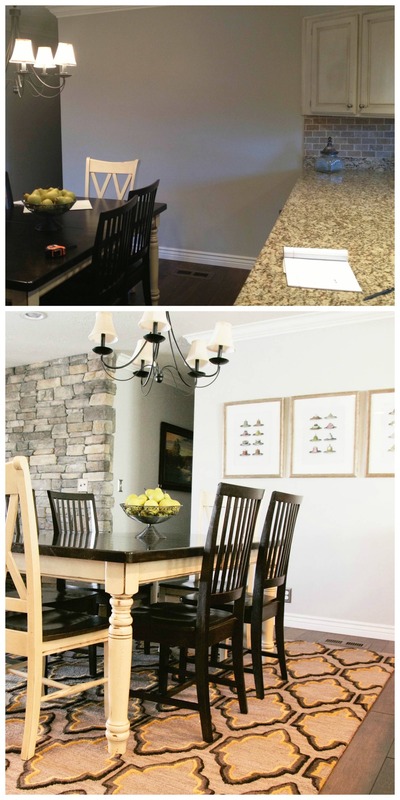 In addition to the formal living room, Leslie also worked on her family room, adjacent dining area and study. Leslie kept her existing furniture and added "pops" of color to make the room more casual, but also to tie in the colors from her formal living room. Above: Family room BEFORE. Below: Family room AFTER. The existing furniture was slightly rearranged and a gallery wall, using an assortment of Leslie's existing artwork and photographs, was installed behind the sofa. A vibrant accent chair and colorful pillows brighten up the space. Above: Dining room BEFORE. Below: Dining room AFTER. Artwork and an area rug complete the space and tie it into the adjacent family room. Above: Study BEFORE. Below: Study AFTER. The study was painted a soft blue and the furniture and accessories were updated to reflect the rest of the home. In the end, Leslie did a great job!